Mojoy: Lake St. John swimming. So while I am skipping around from subject to subject... let's go back to the lake. You may be wondering, "well, I wonder why Ellie is not in the water". It's really because she is "positive she saw something splash in the water earlier." And I don't suppose it would be something like a fish?! No. She was actually pretty certain that it was an alligator! So, Miss Brave wouldn't even get in the lake! We are back at Camp Darby, and it was just before time for the Groves clan to head to Jackson to meet up with JinJin and Baxter. Aunt Sue and MK were real troopers and managed all 9 or so of the little girls on their own. My Gabs, aka "the mermaid" was DEFINITELY going in. She begs to take a bath at night and stays in the tub for about an hour. And as I have mentioned before, spends more than 75% of the time face down and booty up! She loves the feeling of her hair all over her face and refuses to let me keep it up when she's bathing, and usually when swimming too. Would ya look at Miss JK in the pink? She is just living like the queen she thinks she is!! That's Kelsey's sister, by the way. Darby and Gabs were the youngest. Gabbi has never swam in an actual life jacket, so she didn't understand the change in her posture while in it in the water. So she had to be put in a raft. She wouldn't "swim" any other way. Doesnt' that look fun? Looks just like what I think summer should be like. Miss Priss and I hung out on the dock just a little while so Gabs could get her last swim in. I was also packing up all the art supplies, and my little scaredy cat helper helped me. This is precisely why I wouldn't want to get in that lake either. See all those cypress trees?! Well, do you watch swamp people?! I do. Or actually, I have. I don't, like, DVR it or anything. And in Louisiana, alligators like cypress trees. Or at least that's what I think. And I am GLAD my baby is on the raft and not with her feet dangling! Time to go, Girl. Let's get out. They pretty much made a raft train to get her over to the steps. Then Aunt Darby climbed down to help everyone back up. And we headed on our merry way. Thank y'all for listening to all my little baby girl stories. As I have said before, this blog will someday serve as the scrapbook of their youth since I stopped actually scrapbooking much at all. If not baby girl stories, what have you been missing at MoJOy?! Tutorials, craft ideas, kits and video tutorials, decorating ideas, randomness, MMPT? Tell me what you'd like to see more of. I am in a "post pics of my girls" rut! And I would love some new energy. I'm good with the girl stories for now, then we will have SCHOOL and then deocrating!!! **angels singing** Halloween! Thanksgiving! Christmas!! Love when you share what you make, although I have to imagine that lately you haven't had time to craft! Oh, and I'm with Ellie... No lake/river swimming for this girl! I am SCARED of gators! Thanks for the feedback! I'm listening. My youngest (of 3) is now 14. My husband is a romantic and has always demanded that we take time for us. I'm grateful for that. So how do you and The Bod make time for each other? I'm so glad you asked! I love your Christmas tree decorations. Did you make a lot of them? Would love a tute on that when time permits. I saw one this past year that I was going to try to make but, what with the excellent memory I have - I can't remember what it was! I love seeing pictures of the girls - ALWAYS! hmmmm let's see. Your "questions" post was really good. I also loved your tutorials. I also enjoy the JAKE POST to the utmost. (still can't believe I missed the most recent one). Of course, the family post are always fun. The holidays are approaching and I always love your (TOUR OF THE BAH) during the holidays. I've always said "my hats off" to the ladies that blog daily. 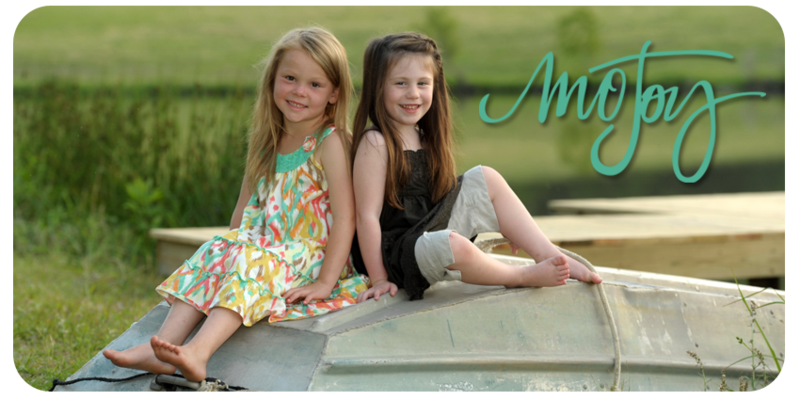 Documenting for your girls is such a wonderful way for your girls to look back on when they are older. I feel privileged to journey and share in such special moments. I don't think I have ever expressed how much I appreciate your generous heart in sharing such special moments in your lives. It truly has been a pleasure. I am all with Ellie in the swimming in the lake thing - I like to see what is below me - so it is pool for me - or the surf of the ocean. I agree with all the other comments about posts - there is so much coming up with your girls that how could we not be interested and want to "come along for the ride." Jake posts are wonderful because I do miss him - not that I have a right to miss him, but I do. Love the tours of the house and the holiday decorating and your parties and family gatherings are the best. Bottom line, just keep doing what you are doing. However, I must admit, I do love the MMPT posts - so wonderful to see your work. I love your blog. It doesn't matter what the topic is. I do love to see your artsy stuff though. I would love to see a step-by-step tutorial of the canvas swirly paintings, the ones that have the 3D textured look - with a list of what supplies to get at the store to make them! Maybe we could do a few steps a day or something like that. The tutorials are awesome! everything you do is interesting and fun. i would really like to hear an update on staci and her entire family and what they are all up to - if staci wants to share that is. just keep posting - and i will be here reading!! and no gross water for me either - i am totally with the pool or just a short way into the ocean! I read your blog every night. Have followed you and your journey since the very first Caringbridge post. I love the fact that you are so real. Anything you post is great!! Thanks for sharing!! Why aren't you scrapping? Get back there! You taught me. I'm with Jana, a step by step, idiot proof guide to making my own paintings. I would love detailed tour of the house!! The girl stories are my fav though!! Decorating, school, art, pretty much anything you want to talk about! Any decision about art retreat date? Small world! I'm from Vidalia and know Darby. Actually, we stayed at Darby's the night we were married at Rosalie. She used to own a little townhouse on Canal right down from Rosalie. Anyway, now I live in Monroe and our little girl went to MMPT for therapy. It was the first place she ever sat up for a few seconds. I will never forget that moment w/ Karl. Again, what a small world!